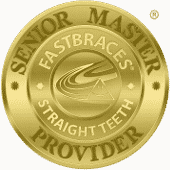 Fastbraces: The Accelerated Treatment You Didn’t Realize You Needed! If you haven’t heard of Fastbraces before but you have considered the fact that you would love a straighter smile (if only traditional braces didn’t take so long), our Celina, TX team may be able to help. By learning more about the details and considering the types of reasons you tend to shrug off orthodontic care when you secretly want it, you may come to the conclusion that a visit with our team to get headed toward your straight smile is actually a very achievable goal! 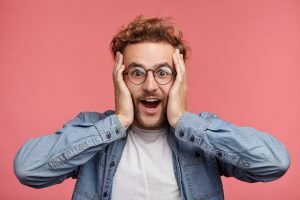 We realize that you may lead a very busy life and, as a result, adding one more thing to your list that you have to manage (keeping up with your smile at home, coming in for visits) seems very challenging. However, we also know that many adults feel strongly about finding a way to achieve an aligned smile, so this can make you feel disappointed. We encourage you to, instead of assuming you’re without options, think about Fastbraces. Though you will still need to add one more thing to that list of yours, it won’t be something you need to keep up with for long (but the results will last forever). Maybe you have a deadline in mind for your smile alignment but you assume it’s just not reasonable. Perhaps you’re getting married in a year or so and you wish your smile was ready for the big day. Remember that when such details show up, it’s always better to investigate your options. It’s very possible that if you begin Fastbraces soon, you can make plans for a future deadline and have a straight smile by that date! You may have spent time in the past considering orthodontic care for yourself. However, you know that you’re too impatient of a personality to deal with multiple years of braces and that it just wouldn’t be something that would work for you. If this sounds like you, then you may wish to consider Fastbraces. Remember that you’re still receiving the complete care your smile needs in order to attain alignment, it’s just much faster, thanks to special technology. If you think that you could probably handle somewhere in the neighborhood of just half of a year to one year of treatment (instead of the couple years that sounds out of the question), then come on in to speak with our team soon! If you want to align your smile and you’d like to do so at an accelerated rate through the help of a safe and effective treatment called Fastbraces, then it is time to schedule a consultation with our team. Get the information and treatment you need in Celina, TX by contacting Celina Family Dentistry to schedule a visit today at (214) 851-0130.